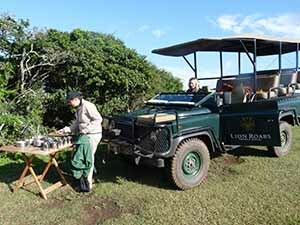 Our safari hostess Dianne O’Donnell has a Bok Makirie answer tone on her cell phone. It helps blend in. 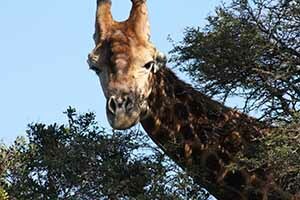 The odd thing about South African game drives is how unreal they area. The farmers chased the animals off these lands and, when tourism rose and farm prices fell, they bought them back. 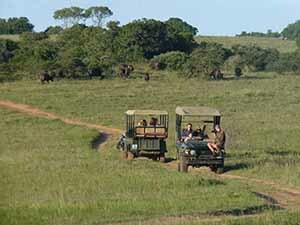 For most holiday makers their only safari experience is a drive around a private game reserve. 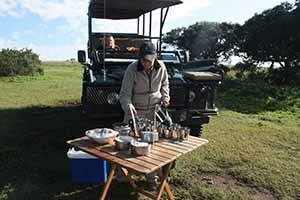 If you have never done a real safari it exciting and the scenery is authentic. I have to admit I was not a fan of private game reserves but here in Amakhala with some first time safari-goers I am beginning to get it. In the wild you can do more driving for fewer animals. The Serengeti it ain’t, but time is precious. When we arrive at Leeuwenbosch Lodge elderly farmer Bill Fowlds regales us in the little bar he has built in the former barn of his 18th century Netherlander’s farm. Like all farm experiences, some animals work better than others. His target was 200 zebra, now he has 450. Game is expensive, several thousand dollars for any of the big five down to the cheap and cheerful impala. Impala are the MacDonalds of Africa, they are everywhere, everyone eats them, and they even have a little M on their rump to identify them. 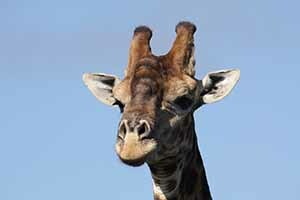 The menace is as great for private game keepers as for public parks. The poaching of rhinos escalated in 2009 and doubled again in 2010 despite a series of attempts to curb the carnage. Last February Bill’s son, a vet, was called to the corpse of a white rhino in Geza callously mutilated by poachers and left alive with his horns and part of his face hacked off with pangas, a vicious looking machete. 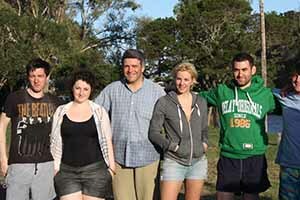 Our group was passing through the Eastern Cape, working our way from East London to Port Elizabeth. 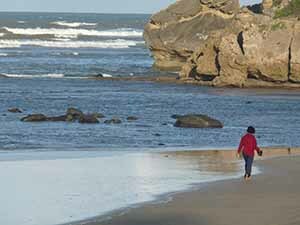 There are strategic game stops and viewing points along the way, the largest bay in Africa, Algoa Bay and Ado elephant park, 208 square miles, two thirds the size of County Louth and four times the size of Achill. The red earth wonder and the lush green make it a worthwhile diversion on the road. 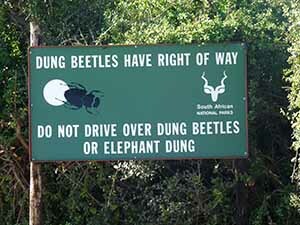 Dung Beatles have the right of way, a sign informs up. There is lots of dung to push around. Apparently it is a bigger attraction here as the elephants. Prana Lodge may just be the most beautiful accommodation on the continent and perhaps the world. The individual luxury lodges are just a climb over a dune away from seven kilometres of unspoilt and warm Indian Ocean Beach. Words do not describe how beautiful this place is. Jon Ginenge runs a surf school on a beautiful beach nearby, and my instructor, Sean Pooley, endlessly patient. “It’s all about the front foot he says,” but it isn’t. The most dangerous animal in the water is a human being with a ski boat and beers, Les Kingma, another of the team intervenes. “Don’t worry about the crocodiles” says Jon. 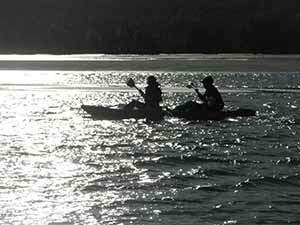 “They left because of the sharks. Butty their numbers are gone down because of the anacondas.” Funny guy.